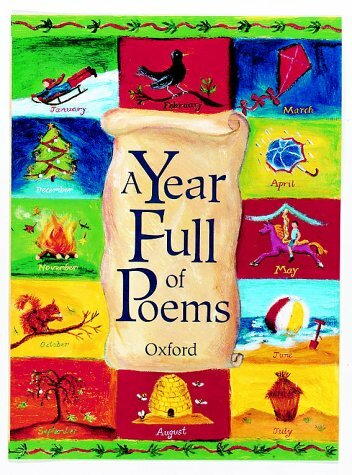 Divided into twelve sections from January to December, this anthology includes at least nine poems for each month, both old and new and from both sides of the Atlantic. Thus Zaro Weil shares an October spread with W B Yeats. We are also offered interpretations on the same theme as, for example, in June where David McCord's humorous, gentle poem about walking in the rain contrasts with Elizabeth Coatsworth's 'circus pageant' of a storm viewed through a window. Almost every spread is illustrated either in colour or black and white with some thirteen artists being represented. All the illustrations complement rather than distract from the poems. Tudor Humphries' illustrations in particular give space for contemplation and reflection. A book to own and to savour as well as a marvellous resource for teachers of junior children.